← Cirque du Soleil donated hundreds of tickets to migrant children! 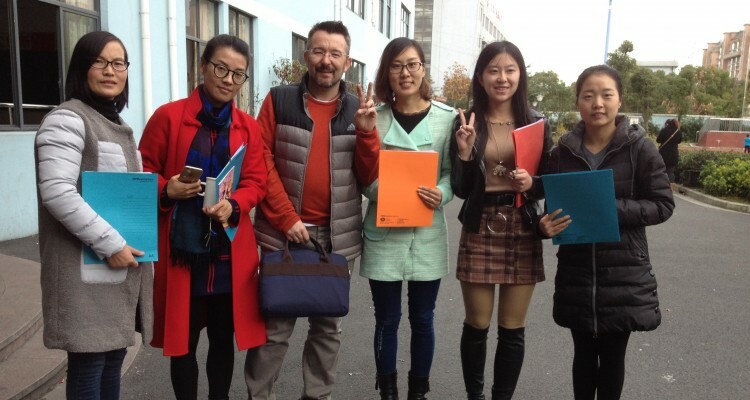 In 2016, thanks to the support of Shanghai Charity Foundation, Stepping Stones has launched a Teacher Training Program at three migrant primary schools in Shanghai. 39 English teachers from the three schools attended the training in the school-year 2016-2017, which was a total of 18 three-hour sessions, equivalent to 54 classroom hours. 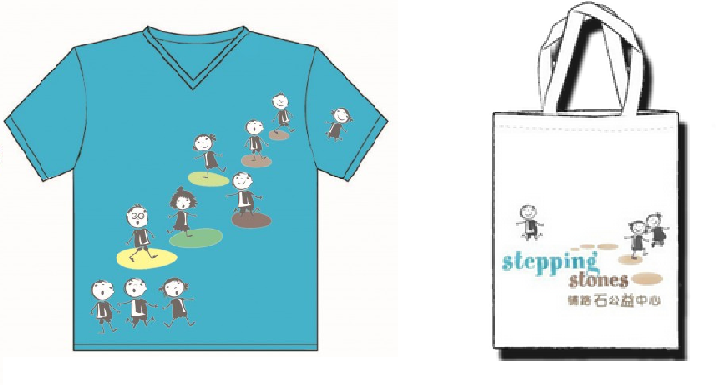 Stepping Stones improves English teachers' confidence and ability. To assess the value and impact of this program on the teachers, evaluations were conducted at each school. Teachers were given ‘pre-program’ (or baseline) and ‘post-program’ (or follow-up) survey questionnaires. 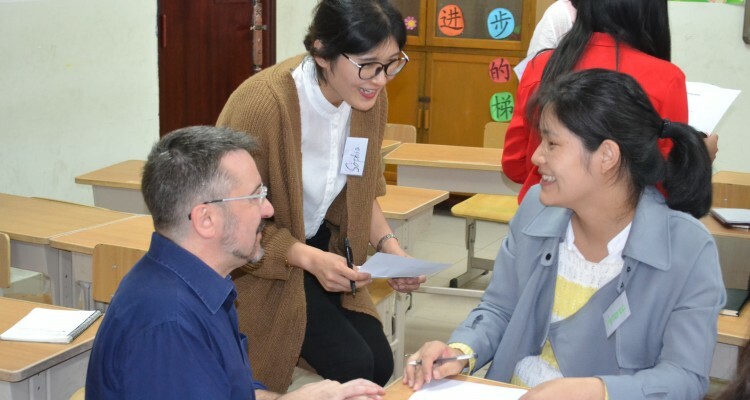 A variety of questions were asked, assessing the teachers’ perceptions of their teaching skills and of their own and their students’ English confidence and ability. 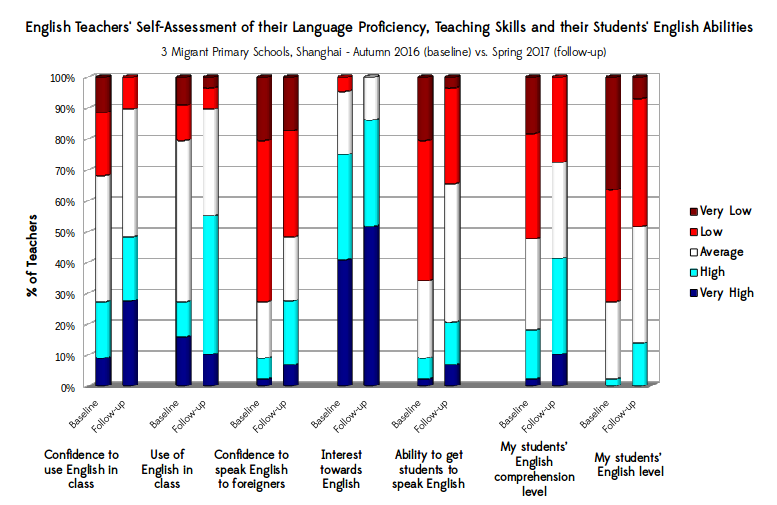 As can be seen in the Figure above, three of the most notable findings of the study were that by the end of the year, 102% more teachers were using English in class, 77% more teachers felt confident to speak English in class, and 126% more teachers felt able to get their students to speak English in class. These extremely significant increases highlight one of the many important goals of Stepping Stones’ Teacher Training Program, which is to help teachers providing a enriched English learning environment for their students. Another highlight of the impac t evaluation is the proportion of teachers reporting an increase in their students’ comprehension level. 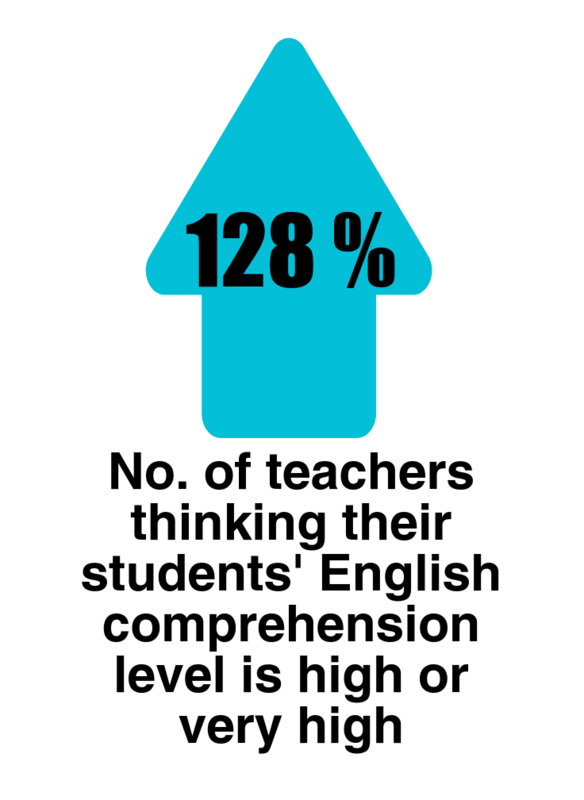 The number of teachers who thought their students’ English comprehension level was either ‘high’ or ‘very high’ increased by 128% at the end of the program. 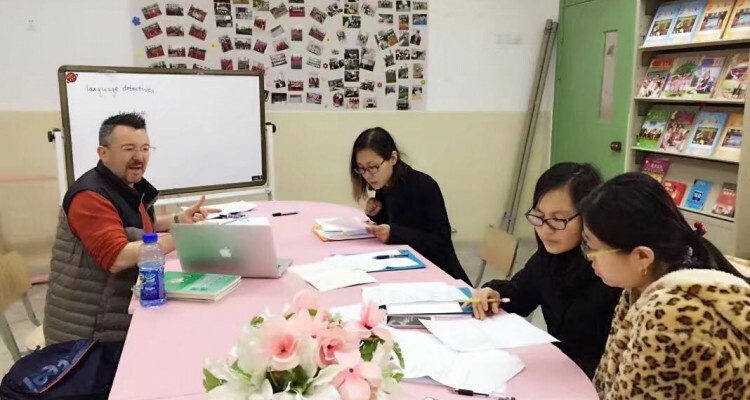 Stepping Stones is encouraged by these positive results, which suggest that teachers under its Teacher Training Program become more confident to use English in class, and feel subsequently more prepared for engaging their students in their English classes. 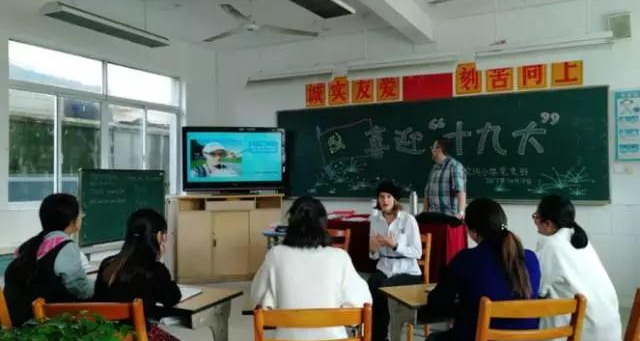 The school year of 2017-18 will be a big year for our Teacher Training Program, as we have a new teacher trainer on the team, and have added three more migrant schools to the program. 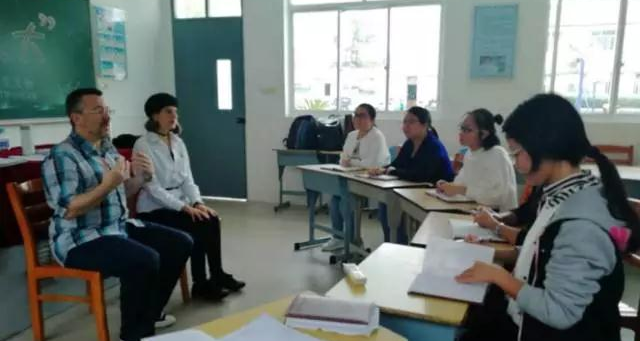 We are continuously improving the program, by having more strategic school selection, more refined needs analysis, and more trainee-centered classroom focus. Thank you to everyone who has supported us so far!